Four Nevada-based registered foreign agents for Saudi Arabia who all either work for or are closely tied to Organized Karma, a Las Vegas consulting firm. CARSON CITY — They quietly labor as registered foreign agents on behalf of the Kingdom of Saudi Arabia. Their mission: Encourage U.S. veterans and policymakers to oppose a law Congress passed that would allow terror victims’ families to sue nations linked to terrorism. Four Nevada-based registered foreign agents for Saudi Arabia either work for or are closely tied to Organized Karma, a Las Vegas consulting firm. 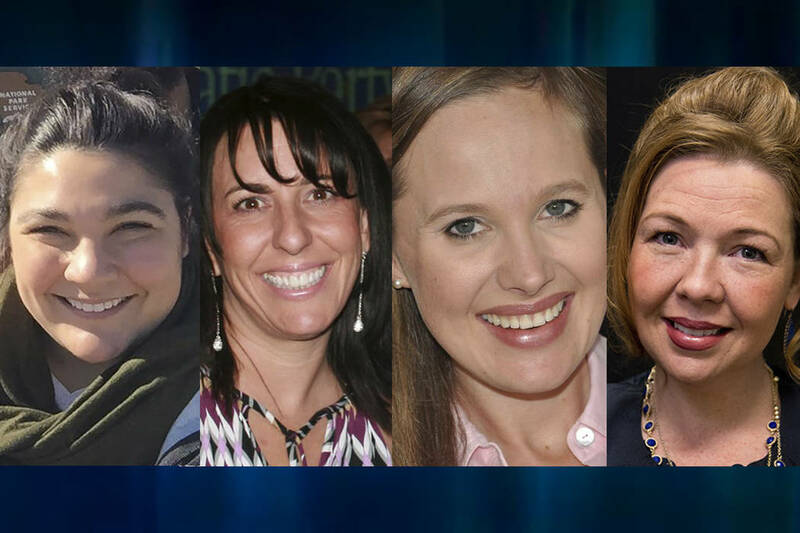 Aida Blankenship, Ronni Council and Charity Stevens are registered with the U.S. Department of Justice as agents for Saudi Arabia and work as subcontractors for Qorvis MLSGroup, a public relations firm that does advocacy work for Saudi Arabia, records show. The other registered foreign agent is Assemblywoman Shannon Bilbray-Axelrod, D-Las Vegas. The agents linked to the kingdom work to oppose the Justice Against Sponsors of Terrorism Act, or JASTA. JASTA has long been sought by some 9/11 families who declined other legal settlements so they could pursue claims against Saudi Arabia instead. Others oppose the measure on legal grounds, citing fears that other nations could enact similar laws and sue U.S. veterans, intelligence officials and diplomats who work on foreign soil. Former President Barack Obama vetoed the bill, but Congress overrode the veto in September. The Saudi government has invested in a multimillion-dollar public relations and lobbying effort to advocate against the law in the U.S. with agents throughout the nation. The work includes flying veterans to Washington, D.C., to raise concerns about the issue and encouraging them to write letters to members of Congress. Being a registered foreign agent is legal, but agents must disclose their ties in materials sent out to the public. The federal government began requiring disclosures through the Foreign Agents Registration Act, or FARA, in 1938, in response to German propaganda that emerged in the United States. Bilbray-Axelrod’s federal registration document required by FARA was filed in October, shortly before she was elected a state assemblywoman. On her form, Bilbray-Axelrod says her purpose is “outreach to media, influencers, state and federal elected officials regarding the Justice Against Sponsors of Terrorism Act.” The document also says her political activity involves “describing the unintended consequences that JASTA poses” to U.S. interests, including potential legal liability for U.S. military, intelligence and diplomatic officials. About the document, she said: “We all had to fill them out. I was not really involved as I was running (for election).” Bilbray-Axelrod was unavailable for further comment. The legislator’s status as an agent for Saudi Arabia was first picked by 28pages.org, a blog about 9/11. The Review-Journal confirmed it through a federal public database. For her salary, Bilbray-Axelrod checked the box labeled, “Not based solely on services rendered to the foreign principal(s).” Other disclosure options include a salary with a dollar amount, a fee or a commission. Her work is done on a “special basis,” records show. In Nevada, one prominent veteran rights and political activist says he was blindsided after sending an email blast to veterans at the encouragement of Nevada-based agents, who never mentioned their link to the kingdom. Steve Sanson, the president of Veterans in Politics International in Las Vegas, opposed JASTA and wanted help fighting a defamation lawsuit. He reached out to Ronni Council of Organized Karma, but he said he knew nothing about a Saudi connection. Council offered help if Sanson sent emails to members of Congress about JASTA. “Then she said, ‘Dario Herrera is going to contact you,’” Sanson said. Herrera is a former Clark County commissioner who does public relations and consulting work. His political career ended after he was convicted of corruption and served time in federal prison. After exchanging emails with Herrera and Aida Blankenship of Organized Karma, Sanson sent an email blast to his organization’s followers in January encouraging veterans to contact Congress with concerns about JASTA. One email Sanson received from Blankenship included four sample letters to send to different members of Congress. “When you send your emails please BCC myself and Dario,” Blankenship emailed Sanson. Bilbray-Axelrod wasn’t involved in Sanson’s experience or copied on the emails. Herrera is not registered as a foreign agent, while Blankenship and Council are registered for the kingdom. After the blast went out, Organized Karma paid Veterans in Politics $120, Sanson said. Full disclosure would have been better, Sanson said. Herrera told the Review-Journal that he was simply helping out and was unaware his associates represent Saudi interests. “This is the first time I’ve been given that information, and I’m happy to follow up,” he said. Council said federal disclosures she and the others filed were required to work with the firm that hired them. Other foreign agents elsewhere have held “fly-ins” in which they arranged plane tickets and hotel rooms for veterans to go to Washington, D.C., and take their concerns to policymakers. The New York Post reported last week that several veterans outside Nevada were taken on trips to Washington to advocate against JASTA but were not told about the organizers’ connection to Saudi Arabia or found out well after boarding the plane. Other veterans interviewed by the Review-Journal don’t view the arrangement as problematic. For them, it’s simply a matter of having concern about an issue that happens to be shared with Saudi Arabia. George Risse, a retired Air Force colonel from O’Fallon, Ill., said that JASTA goes well beyond simply allowing 9/11 families to sue, and that the work involves veterans doing their own research. “There has been no effort by the people who put this together to try to coerce us into what we have to say,” he said. “There’s no grand prince from the Saudi government telling us what to do,” he said.